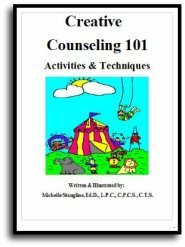 Learn some ideas for your school counseling program that helps teachers with classroom management. Okay, so I booked my gallbladder surgery over Thanksgiving in order to insure that I had the ability to work as a school counselor for the month of December. December is the busiest month for a school counselor in my opinion. Not only do we have to do the usually school counselor duties such as guidance lessons, “Response to Intervention” conferences, school counselor groups, meetings, and oh, time to actually counsel students, but we have to be in charge of holiday gifts for families in need. Most public schools offer some type of holiday gift donation program for students in need. If you are the school counselor, you will be in charge of it. I have all my families holiday gifts purchased and wrapped before Dec. 1st because I have nothing left to “give” after working as a school counselor in December. By having all my families needs met I can get some rest during the winter break! I have the worlds greatest principal and she encourages me to only focus on the holiday gifts for the students because it is a major event. This year I am only doing a couple school counselor groups (grief and study skills) and have cut my guidance lessons to 15 minutes in lieu of the actual 30 minutes. I will elaborate more on this later as I leave the teacher with a bevy of behavior intervention tools to help students! In our small mountain community the Christmas holiday is the most important time of the year. Last year I made sure that 90 children had gifts for Christmas. It is not only the children getting the gifts that take time and energy, it is the people wanting to sponsor a child for the holidays. These sponsors need to feel that they are doing something good for a child and want to talk about the unknown child’s needs with me on the phone or in person. This can often lead to several phone calls from the sponsor wanting to know sizes, etc. Each grade level also adopts a child and students can bring in gifts for the unknown child. I am the only one in the school that knows what number belongs to what child. I have a side room next to my office that doubles as the school book room. I get red or green garbage bags and start to “gather” up the donated toys that would appeal to each child. It is a balancing act because some sponsors donate more than others. I have to balance the gifts because it would not be fair that one child gets two bags and another only one bag. The book room is a huge mess during this process and I have to ask my staff to ignore the chaos. This year we do not have a full time music teacher so I am in charge of the holiday program. At my school this is a packed house! We do this celebration on the last day before the Winter Holiday. I am asking the teachers to have their class practice singing some holiday music as the gift bearers bring the boxes of gifts in for the children in need. It is truly a magical moment at our school and makes the holidays special for me. 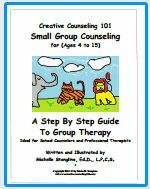 For the other part of my December School Counseling schedule, I am doing guidance this year. My younger students have fallen in love with The Gingerbread Man. As kindergarten students and first grade students that have become second and third grade students they still demand to do “The Gingerbread Man Hunt”. 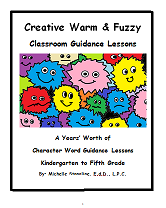 So, this year I have created “The Gingerbread Warm Fuzzy Story” and will go into the classrooms to read the story to all my K thru 5th grade students. It will be up to the teacher if she wants to take the students on a “Gingerbread Hunt”. I have also added a small box for the students to make. They can leave this box out when the teacher tells them they might get a visit from “The Gingerbread Warm Fuzzy”. 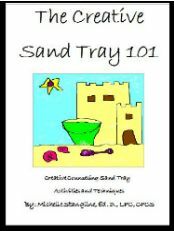 The teacher can fill the boxes with a tiny gift such as a candy or special trinket. When the students return from a “Gingerbread Hunt” they find the gift box on their desk with a small surprise in it. This helps children get their mind off the excitement of Santa Clause. It also gives the teacher some leverage for “out of control behavior” during the month of December. School counselors can also do the “Gingerbread Hunt” and the “small gift box”as part of the guidance lesson. 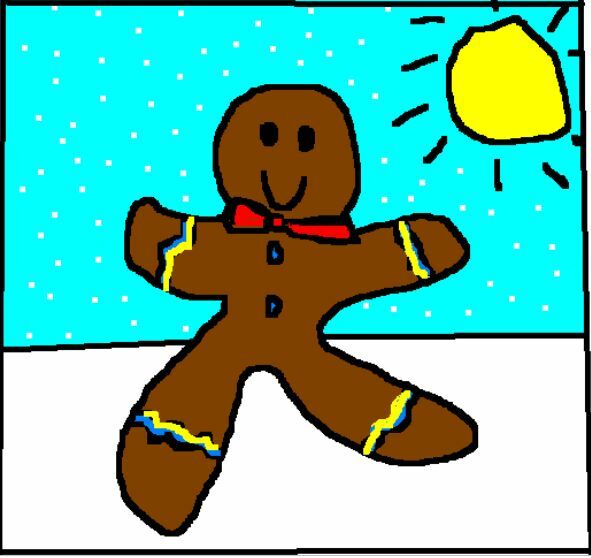 I will also be leaving each classroom with “The Gingerbread Warm Fuzzy”. A high school student who works after school is making one for each class. This little “Gingerbread Warm Fuzzy” will be hidden in the classroom and will watch students to ensure good behavior and a strong work ethics for the month of December. This is my version of “Elf on the Shelf” for the classrooms. The only difference is the "Gingerbread Warm Fuzzy" does not make messes and he is a spy for the teacher. This activity is helpful for promoting good behavior to help the teacher in the classroom. I have included all of the activities on the link below. It is up to the teachers if they want to use these activities in their classrooms. School counselors can use these as well. 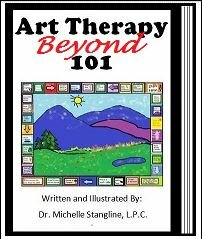 The activities can be used for “Response to Intervention”ideas as well. They include “Caught You Being Good Cards from the Gingerbread Warm Fuzzy”, “Build a Puzzle” to get a prize, “Whole Class Party Banners” to earn a class party, and “Gingerbread Behavior Charts”. All of these activities can be found on the “Gingerbread Warm Fuzzy Link” below. They are free for teachers and school counselors to use. 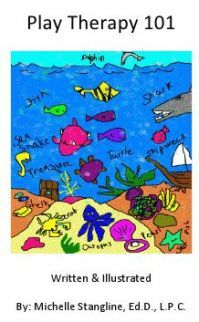 This is also a multicultural activity and can be used for all religious cultures, etc. I also used this activity with my own son and his cousins. This is a fun activity to do at your own house if you have little ones. They will never forget this celebration and often pass the tradition on to their own children. If you are doing this as a school counselor or teacher, you will forever be remembered as a special person in the life of a child!